Just up the Uxbridge Road, our new neighbours in Transition, Southall Transition, are holding their first public event on Friday this week. Formed by a diverse group from the Southall community, they are certainly off to a flying start! 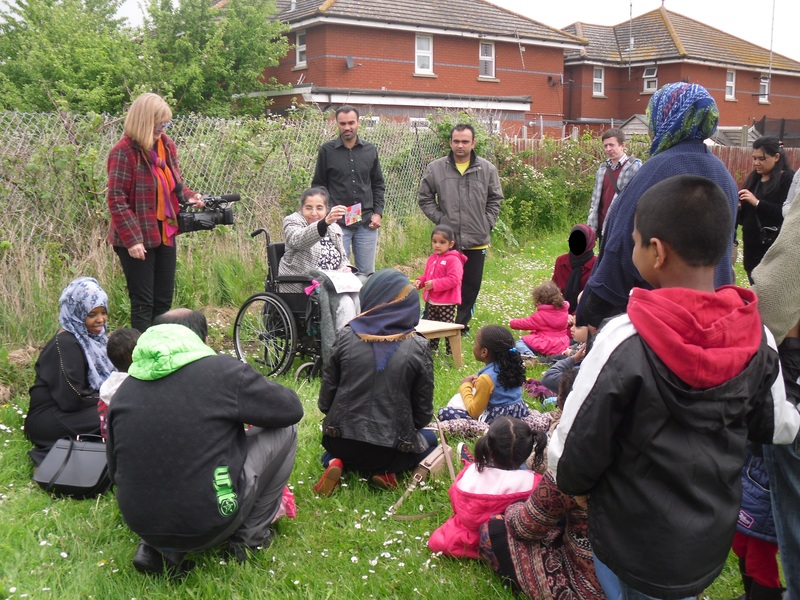 At the end of April, working with the Greenfield Children’s Centre, the group took over 50 small children and their families to Southall Community Garden, where they had a great day learning about food, gardening and the history of the area. The group are also engaging with St. James, the developers of the former Southall Gasworks site, where nearly 4000 houses will be built over the next decade, with the aim of enhancing the sustainability and biodiversity outcomes of the project, and making it more integrated into the community. Southall Transition will be holding a free public screening of the film “The Power of Community” on Friday 9th May, so if you live in Southall or nearby, this would be a great opportunity to see a brilliant film, to meet the team, and get involved! It’s been Ealing Transition’s pleasure to support this group as they get started, and we’ve really enjoyed getting to know them, and exchanging (so many!) ideas. We’re sure they’re going to do great things! Southall Transition are showing “The Power of Community” on Friday 9th May, at 7pm, Holy Trinity Church, High Street, Southall UB1 3HH.